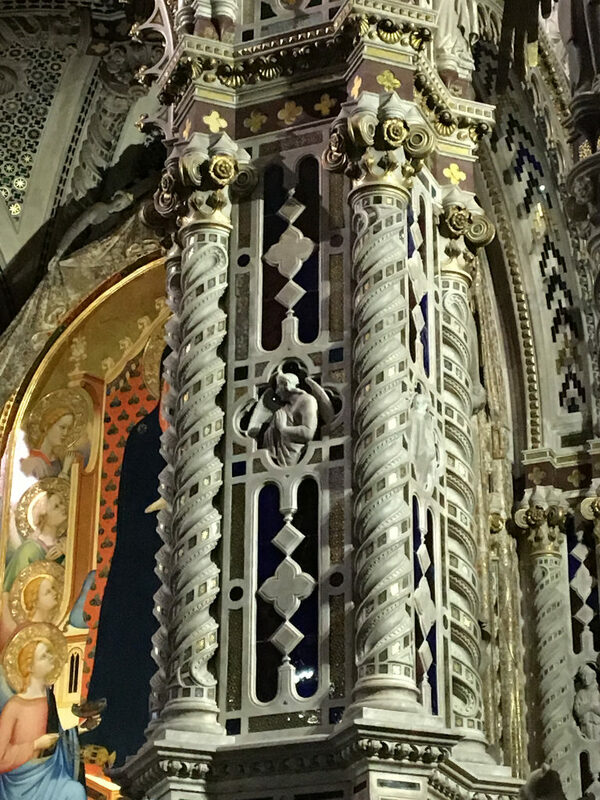 Let’s start an exploration of the unusual churches in Florence. Can a grain storage facility be a Arts history cornerstone as well? When you are in Florence the answer is yes! Ladies and gentlemen, welcome to Orsanmichele! The layout of Via dei Calzaiuoli (shoemakers’ street) in the early Middle Ages was quite different from now. 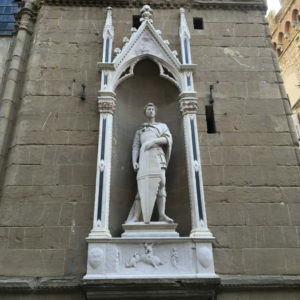 The site of the Orsanmichele church was part of a female monastery. 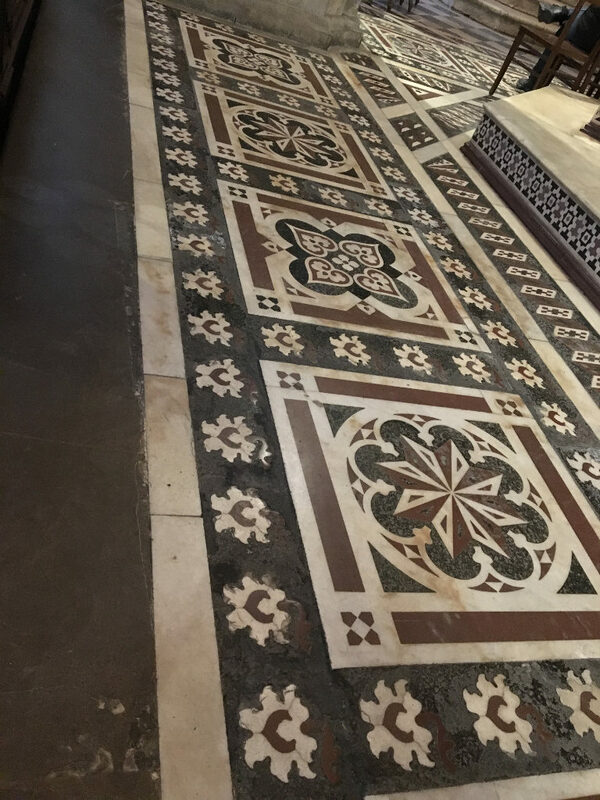 Within it, a small Saint Michael’s (San Michele) church laid beside the monastery’s kitchen garden (orto): then Or – San – Michele, Orsanmichele in the swift Florentine pronunciation that still stands. In 1240 the “original” Orsanmichele church had being demolished and the monastery dismantled. 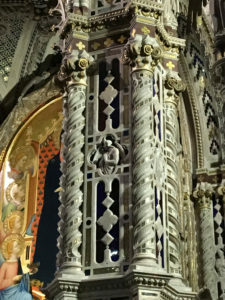 The site of Orsanmichele became in 1290 a grain marketplace: the project – a lodged space with a first floor warehouse – probably was by Arnolfo di Cambio, the first great Florentine architect. 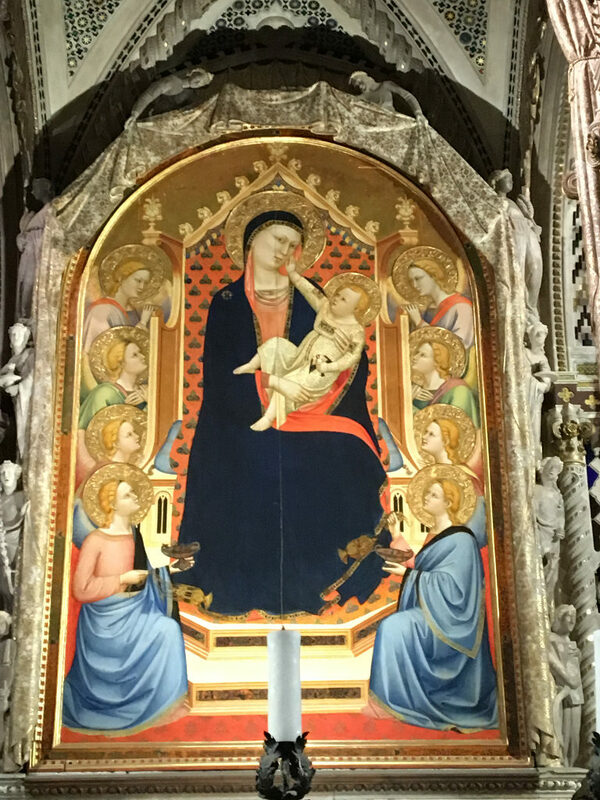 The works restarted in 1360, along with the decision to re-transform Orsanmichele in a church: and an important one! 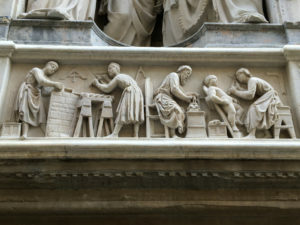 Orsanmichele became the church of the “Corporazione delle Arti e mestieri”, the Florence’s corporations of artists and craftsmen, the political and economical intelligentsia at that time. 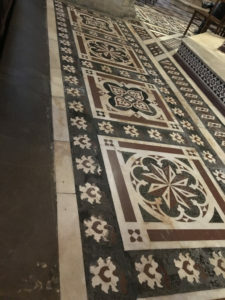 The church started to be reshaped with – we dare to say – a sort of marketing strategy in mind: the Arti wanted to show off their power on a side and the connection of that power with the Christian iconography, displaying the Saint Patron of each one of the Corporations. In this way Orsanmichele acquired its peculiarity: having its external walls enriched by the statues of that Saints. The original ones are now preserved in the museum, but the glance, even with just the copies, is still unique and amazing. Masterpiece amongst the other masterpieces (14 statues! ), Donatello’s St George: we have already mentioned it in our Florence’s Dragons blogpost.